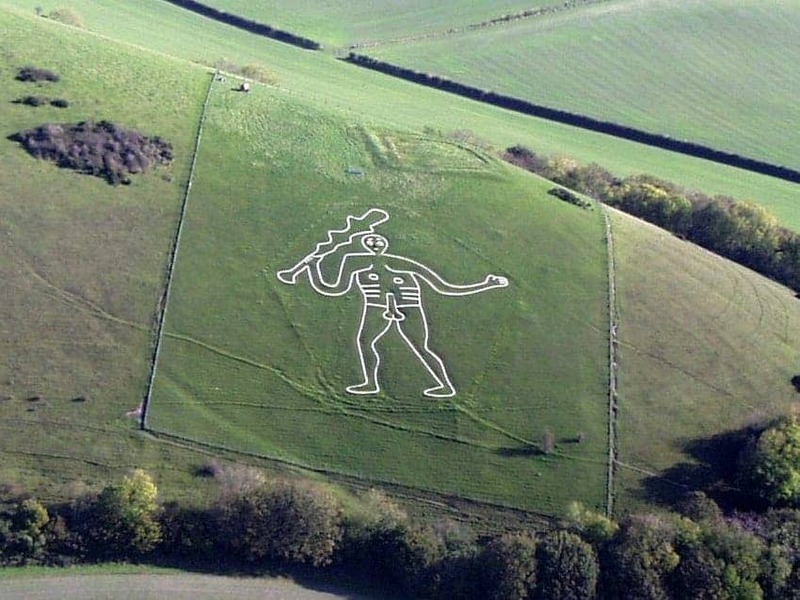 The Giant is an ancient naked figure sculpted into the chalk hillside above Cerne Abbas in Dorset. Standing at 180 ft tall, this is Britain's largest chalk hill figure and probably the most controversial. It is thought to be an ancient symbol of spirituality. Local folklore has said it is an aid to fertility if you roll across it or spend the night there! Another theory is that he is the Greco-Roman god Hercules who is often represented with a club and an animal fur. It was created during the reign of the Emperor Commodus who believed himself to be a reincarnation of Hercules.